Are tiny critters gradually taking over your home sweet home? Are they starting to draw territorial lines that you can’t seem to erase? If you’re looking for pest control services in Hyderabad, you can make an easy booking online at HouseJoy. Don’t worry about scanning through advertisements and trying to find a trusted and efficient team who’ll get the job done for you. Save yourself from the stress of selection and make a booking at HouseJoy with just a few clicks. Let the experts fight those pesky pests for you. If you have rodents running around the house, don’t turn into a cat lady who adopts a dozen cats to chase them all out. Login to Housejoy.in instead and choose from the various home pest control services they provide and relax. HouseJoy offers effective pest control services for homes of all types and sizes across Hyderabad. The team of experts are trained and certified to carefully and effectively eradicate all kinds of pests. Do you find trails of ants in the kitchen? They sure are a nuisance! Are they starting to get territorial every time you bake something delicious? Don’t let those cookies and cakes be carried away by an army of ants, get help from HouseJoy to make sure you and your loved ones get your share of baked treats. HouseJoy offers professional pest control services and has a team of technicians who use the best in eco-friendly products and equipment in order to get the best job done for you. You can easily make a booking for any control online at HouseJoy so hurry and save those cookies and cakes. Are the termites trying to tear down your precious bookshelf? Or have they gotten into your antique chest of drawers or closet? Your closet should be a cozy home for your clothes and not those tiny termites. HouseJoy understands the importance of wooden furniture. Some are inherited works of art with great sentimental value while others are a huge investment. If you don’t get help, those termites will literally turn them into dust. 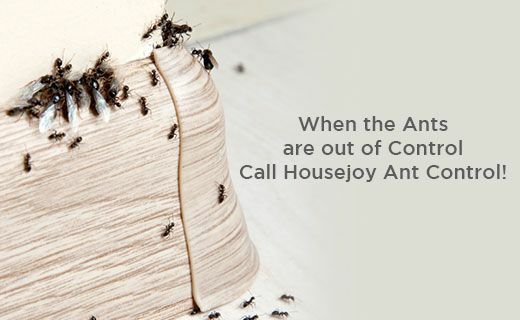 So get help from the pest busters at Housejoy and save your precious wooden furniture from those tiny termites. Don’t waste time looking for pest control services in Hyderabad on the Internet, just make a booking at HouseJoy. You can choose the services that will solve your problem, or call for an on-site inspection to let the experts figure it out. Do you see lizards lurking in the corners of your beautiful home? Hiding behind a closet or lounging on top of the cabinet? Don’t try catching them by the tail and throwing them out because their tails come right off. Log into HouseJoy from your laptop or smartphone and make a quick booking for effective pest control services. It doesn’t matter which part of Hyderabad you live in, the team at HouseJoy caters to all parts of the city. It’s as easy as ordering food, with just a few clicks you can avail home pest control services. Cockroaches are as common as traffic jams in a big city. They spread from one home to the next like an infestation. And if you live in an apartment building, they often come and go through the pipelines. Stop playing hide and seek with them and say goodbye by booking cockroach control services in Hyderabad at HouseJoy. They also provide termite control, ant control, malaria control, dengue control, bed bugs treatment and more. Making sure your home is pest free is a big step towards ensuring better health and hygiene for you and your loved ones. Do you have babies or toddlers who like to crawl under the bed or hide in closets and cabinets? Make sure your home is free of tiny pests to keep your children safe and healthy. Tiny insects like bed bugs and ants can bite your precious babies and rodents can leave droppings that could lead to illnesses. Don’t worry about finding reliable and effective home pest control services. You can book the pest control experts at HouseJoy to remove those uninvited guests for you. Make your home a safer and cozier place for your little ones with the help of pest control services by HouseJoy. If you think these pests are being attracted by dust or grime that’s been accumulating in the books and crannies of your home, you can book deep home cleaning services at HouseJoy as well. The cleaning crew is experienced in caring for homes across Hyderabad. Choose from deep kitchen cleaning, deep bathroom cleanings, sofa and mattress shampooing and more services. And if you book multiple services, HouseJoy Assist will appoint a dedicated relationship manager to tend to your portfolio of tasks. If you have furry little pets at home, your home is bound to be visited by fleas at some point. Yes, the first step is to get those powders and shampoos to rid your little buddies from the fleas, but what about the ones who have gotten out and made themselves comfortable in your home? Target and terminate those tiny bugs with the help of HouseJoy. Make an easy booking for residential pest control services online from the comfort of your home. HouseJoy is India’s first personalised services provider and cares deeply for its customers. If the pest control services isn’t don’t properly, HouseJoy offers free rework. Make sure those bed bugs don’t bite you at night by booking pest control services at HouseJoy. The service provider offers bedbugs control services in Hyderabad. With a few clicks on their website, you can hire a team of experts with the best products and equipment to make sure your bed is free of bedbugs. Log into their website to register and quickly book services for bedbug control. You and your loved ones deserve to sleep cozy and dream in peace. Do you often find yourself clapping mosquitos away at night? They don’t deserve the applause. Visit HouseJoy.in and book pest control services that will get rid of mosquitoes and keep malaria at bay. Save your time and good health by making an online booking. Housejoy has the solution to your problems, they offer efficient and effective mosquito control services all over Hyderabad. Have you found pests running around the house or discovered evidence that suggests you have a pest problem? If you’re unsure what exactly is troubling you, order for an on-site inspection and the experts from HouseJoy will visit your home and diagnose it for you. Choose HouseJoy for all your home care needs: home deep cleaning services, appliance servicing, home pest control services, mosquito control services and more. The risk of malaria and dengue has increased over the past few years and we see so many people paying a heavy price for it. 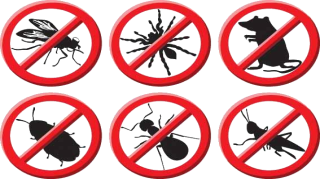 Prevention is better than cure so book mosquito control services in Hyderabad. At Housejoy they understand what a nuisance these flying insects can be. Make a booking for home pest control services to help you fight dengue and malaria, this will not only make your home pest-free but also help you keep your loved ones happy and healthy. Free your home from all the tiny critters that have their eyes on it by opting for residential pest control services at Housejoy. They even have a mobile app that can help you book a variety of services on the go. Throw out all those random numbers of electricians, carpenters, pest control service providers and plumbers. Just download the HouseJoy app from the App Store and make bookings for all your home needs at one place with a few clicks.